The "Survey of U.S. Army Uniforms, Weapons and Accoutrements" by David Cole, was compiled as a classroom reference for the Army Museum System's Basic Curatorial Methods Training Courses. This document may be used as a reference to assist in identifying Army material culture. 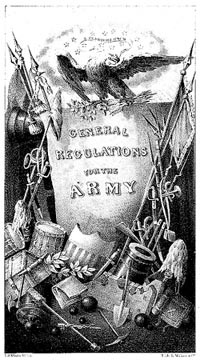 The purpose of this study is to provide a quick reference for the identification of the basic uniforms, accoutrements and small arms used by the American soldier from the period of the American Revolution to the operations in Iraq and Afghanistan all in one source, rather than in seven or eight different books or websites.